The Pre-Raphaelite Society recently enjoyed an entertaining lecture by Kirsty Stonell Walker on her research on Fanny Cornforth. 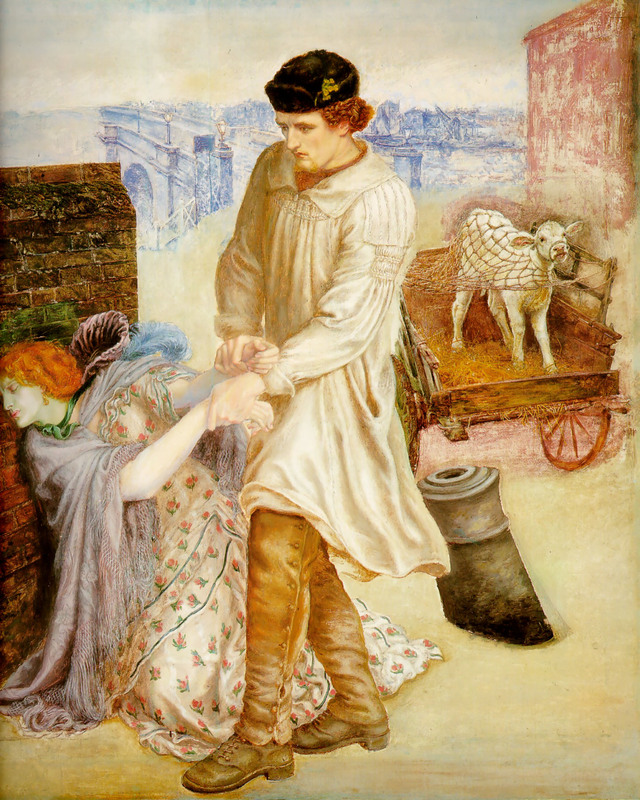 Kirsty’s book Stunner: The Fall and Rise of Fanny Cornforth is currently the only biography of Fanny, muse and mistress of Dante Gabriel Rossetti, and in it Kirsty rescues Fanny from her undeservedly bad reputation. Kirsty explained that it would once have been inconceivable that Fanny would have been researched and discussed in an academic context: she was seen as the sordid side of Rossetti, the woman people preferred to gloss over. Kirsty explained why Fanny was branded a liar and thief (neither likely to be true), as well as illiterate (though there are extant letters from her in a rather nice copperplate). 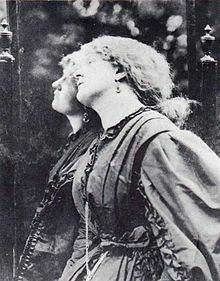 Moreover, the famous image of the prostitute spitting nutshells at men in the Strand to attract their attention is simply untrue: Kirsty’s research demonstrates that at the time this was meant to have happened, Fanny, then a Sussex girl called Sarah Cox, was visiting her aunt in St John’s Wood, and while she did meet Rossetti, it was he who approached her, pulling her hair down and declaring that he had to paint her (which does sound quite Rossetti-like). Anyway, Kirsty claims to have tried attracting men by spitting nutshells at them, and says it doesn’t work. Fanny’s life as a model and muse for the Pre-Raphaelites is coloured by the ‘keynote’ image of Rossetti’s painting Found (right), in which the repentant fallen woman turns her face away from her abandoned lover; but despite the connotations of the painting it sounds as though Fanny herself was not only unrepentant but also rather fun. When Rossetti began to use her less as a model, this was likely to have been because her face became less ‘saleable’, and indeed she was quickly replaced with the less earthy, more aetheticised Alexa Wilding. But Fanny, undaunted, married and became landlady of a pub, though she returned frequently to Rossetti (often with her husband), looking after him in his late illnesses. 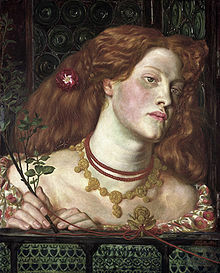 Fanny’s story is rather a sad one, though – one senses that though the Pre-Raphaelite years with Rossetti in the 1860s were golden, after Rossetti’s death she was treated badly by the Rossetti family who saw her as lacking respectability. However, she still held her own, mounting her own Rossetti retrospective based on paintings and drawings he had given her (rivalling the exhibition approved by the family), and eventually vanishing from all the records by 1905, so that we have no idea where and how she died. Yet before she died, she corresponded with and met Samuel Bancroft Jr, Pre-Raphaelite collector and wealthy American businessman, who was the only person to ask Fanny about her life, about Rossetti and his work, and her part in his artistic and personal life. Her letters to him are in the Delaware archive, and remain the only real source of Fanny’s own views about her life as a Pre-Raphaelite muse.